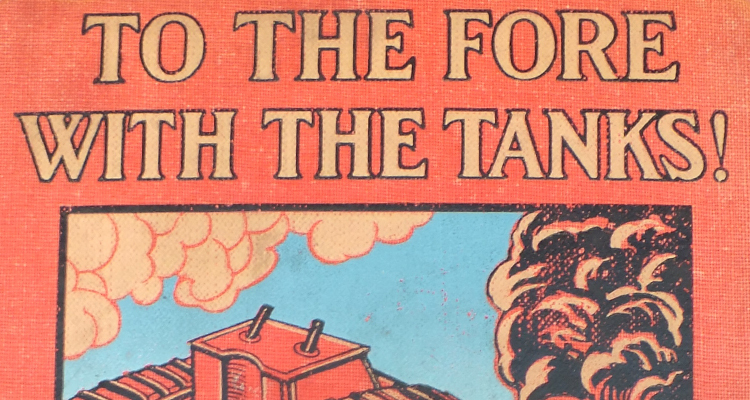 It’s difficult to know what constitutes an experimental tank in the First World War, a prototype that never evolved or one that changed beyond recognition before it entered service or even a design that was never developed. Or what about a tank adapted for some special purpose that was never used, either because the project for which it was intended no longer existed or perhaps because the war ended before it was properly ready. Examples of all of these can be shown, but would you describe them as experimental? 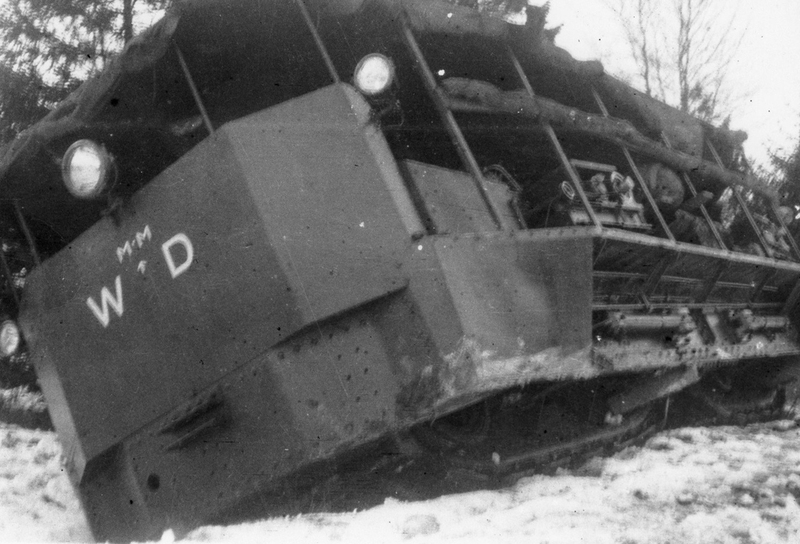 The Pedrail Machine slides off the road during the journey from Porton Down to Bovington in 1919. Going right back to the beginning, a series of proposed landships were designed by Colonel R. E. B. Crompton for the Admiralty Landships Committee in 1915. 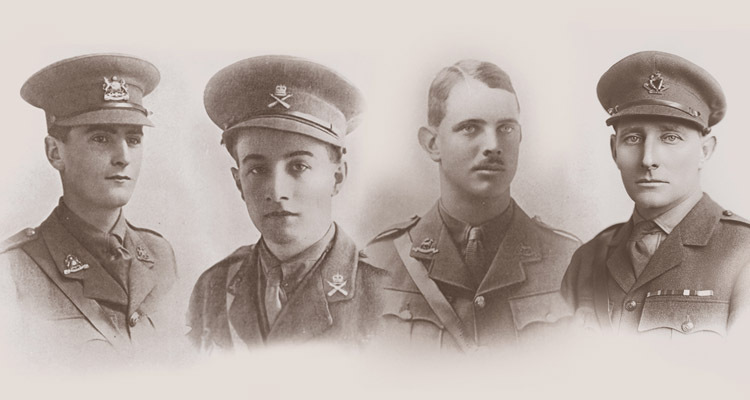 Most never got beyond the stage of being drawings, all except one, the very first one as it happens, construction of which began but was halted when ideas changed, the parts were then acquired by the War Office and assembled by the engineering firm Stothert and Pitt of Bath for the Trench Warfare Department and known as the Pedrail Landship. This strange machine ran on two sets of Pedrail, full width tracks which steered like the bogies on a railway locomotive. The plan was to complete it as an armoured flamethrower, although it proved to be too heavy. It was sent to Porton Down on Salisbury Plain for trials and at the end of the war was taken down to Bovington, where it was known as The Porton Tractor, but after spending some time in the embryo Tank Museum it was scrapped. 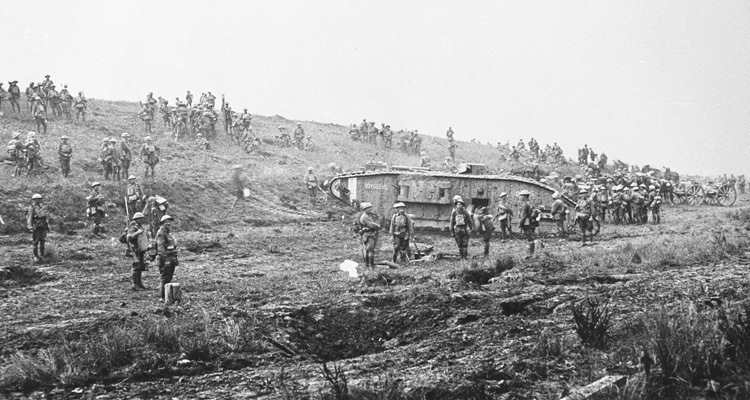 The Williams-Janney tank photographed from the rear at Dollis Hill, later in the war. The tanks that attended the Oldbury Trials on 3 March 1917 included five that could reasonably be called experimental since they were fitted with experimental transmission systems in an effort to find one that was more suitable than the four-man system currently in use. There isn’t room to examine all five here so we’re going to focus on a typical one to give some idea of what it was like. Experimental Machine D, fitted with the Williams-Janney hydraulic transmission was one of the contenders. 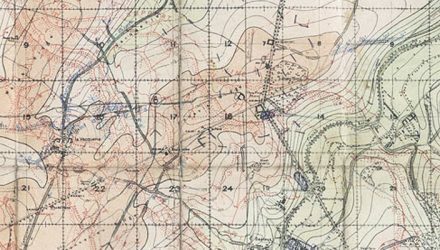 Oldbury is near Birmingham, and the trials took place on a piece of waste ground that had been dug over with trenches and shell holes for the test. Williams-Janney equipment was made by the Variable Speed Gear Company of Crayford in Kent, a Vickers subsidiary. It was normally used aboard ship, for driving winches and such, but it was deemed suitable for driving tanks. It consisted of two hydraulic motors driven off the engine, which in turn drove two pumps that supplied the power to drive the tank. The equipment took up so much room inside that the radiators had to be moved outside and although the system seemed to work well at first the oil soon became uncomfortably hot and the hydraulic equipment started to break down. 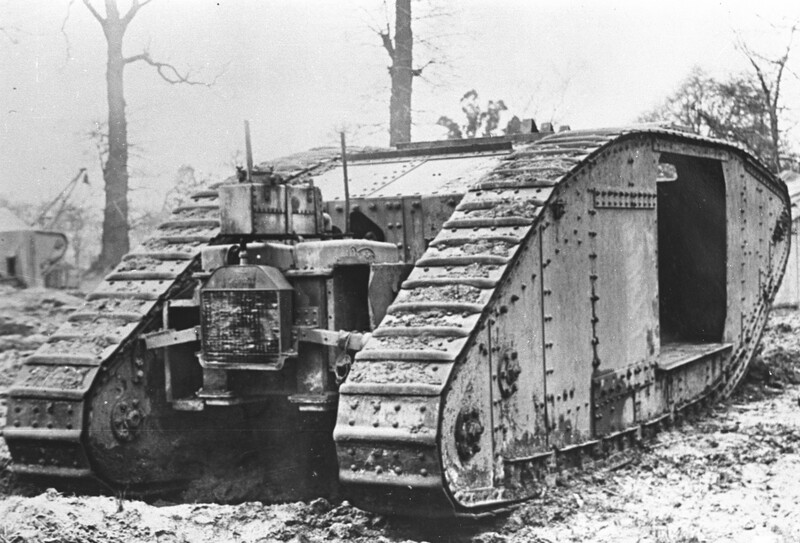 Many different systems were tried, electrical and mechanical but the winner was the epicyclic steering system devised by W. G. Wilson, a system that was used on many subsequent tanks. Originally named The Whippet. It was designed by Sir William Tritton and 200 were built by William Foster & Co of Lincoln in slightly modified form. Two other machines attended the Oldbury Trials, not as experimental machines but more as prototypes of new designs. One was the Tritton Chaser, styled as Experimental Machine B in the programme. 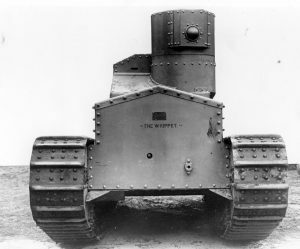 It was the forerunner of the Medium A or Whippet, a lighter, faster type of machine, but so different as originally conceived that it almost qualifies as a different tank. It featured a tall, cylindrical turret on the left of the driver, armed with a single machine-gun. 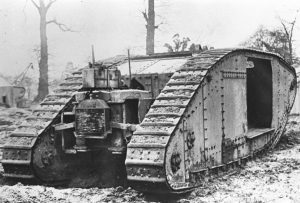 It was driven by a pair of 45hp petrol engines, each working through its own gearbox, which made it a difficult tank for one man to drive but it was produced in a modified form without the turret and 200 were built and used in 1918. 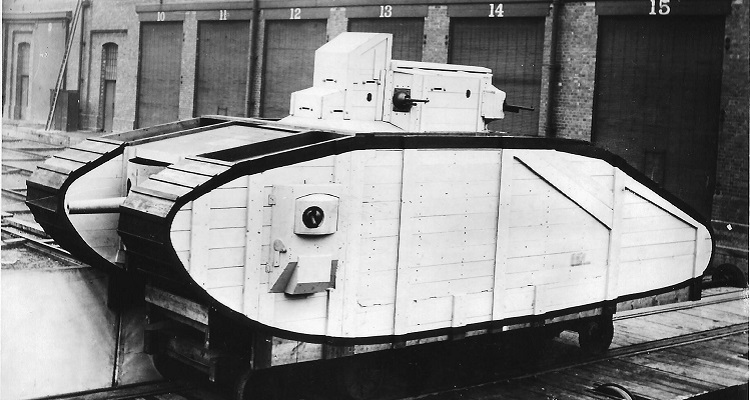 A wooden mock-up of what was to be known as the Mark VI tank (see above) was rolled out from the Metropolitan Works in Birmingham on 23 June 1917. It was destined never to be built but if it had been it would have been the only British tank with a single gun at the front, an original and very progressive design. The Mark VI had been designed by Major W. G. Wilson but the shape was so different from existing tanks that it would have slowed production down, so it was decided not to build it. Even so the United States Army, now an ally in the war, was rather taken with it, for a while. A Mark IV male tank on the replica sea wall, showing the special track attachments and the wedge shaped ramp at the front which the tank dropped to help it over the lip. 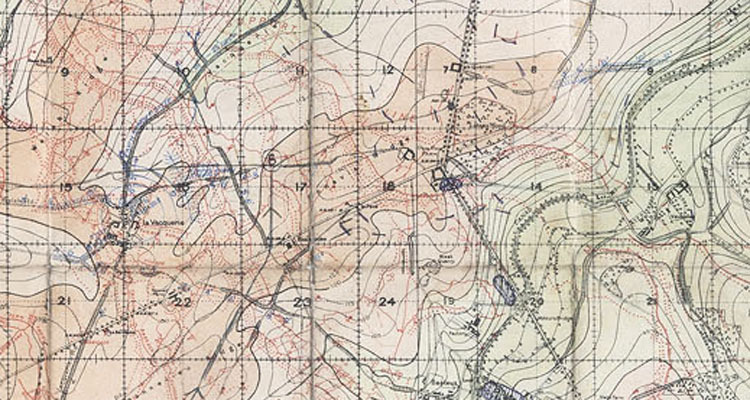 The ‘Hush’ Operation was a proposed amphibious landing on the Belgian coast, in the summer of 1917. It featured infantry, artillery and a few tanks. The biggest problem was the sea wall at the top of the beach. 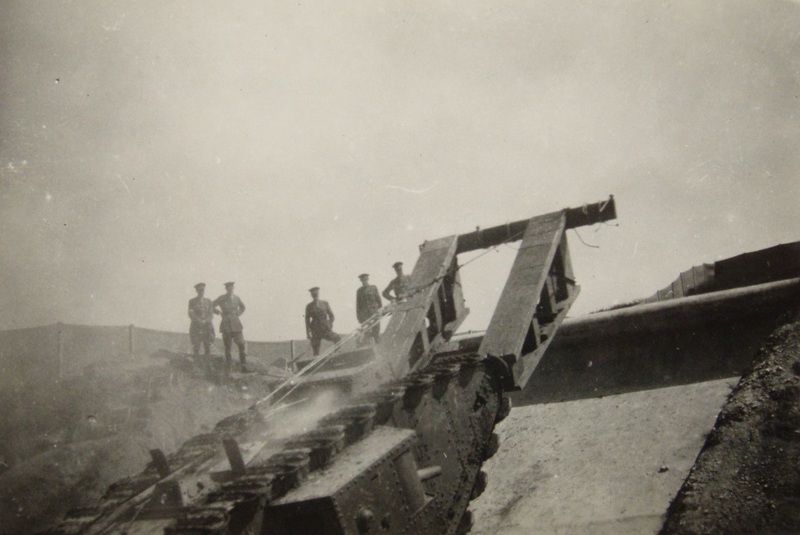 Various idea were tried out to enable the tanks to climb it and training was carried out on a replica wall at Tank Corps headquarters in France. Three tanks would spearhead the attack, each one fitted with track attachments that would grip a slimy sea wall and carrying a ramp in front which helped the tank climb over the lip at the top. In the event the attack was never mounted although it was fully rehearsed and ready to go. A ‘Hush’ wincher recovering the wreck of a recaptured Mark IV. The number on the front side suggests that it was built as a Male tank by Fosters of Lincoln but has been fitted with a female sponson on this side to enable it to winch forwards. Also known as the Great Landing, the ‘Hush’ Operation involved some ingenious conversions of fighting tanks, three were equipped with winches so that they could haul guns and transport over the wall. Although the ‘Hush’ Operation never took place the tanks were all obtained and modified. The winch, which seems to have been made by John Fowler & Co of Leeds was mounted on the right hand side behind the sponson and driven from the secondary gearbox on that side. Since the three tanks were still useful they were used for recovery tasks. Enjoyed these examples? Read the second and third installments. I was at Bovington last weekend and was intrigued to see a lone grouser attached to the track at the back of the Mark II. No-one about could confirm its purpose but the fact that it was a steel box for a wooden ‘shoe’ made me wonder if it was related to HUSH? The photos in Admiral Bacon’s book show at least two different styles of wooden grouser, not the steel spuds shown above, so there was clearly some experimentation with different arrangements. Any thoughts?